Is the Oprah Winfrey halo staring to fade from Weight Watchers? Weight Watchers shares fell nearly 15% Tuesday after the company reported a decline in subscribers between the first and second quarters. For the past few years, Weight Watchers (WTW) has reported a similar dip in subscribers during that period. The rolls grow again as the year progresses, which makes sense. Even though some subscribers drop out in the first few months of the year, total subscribers are actually way up since Winfrey joined. The base grew 28% from a year ago to 4.5 million. Shares in the company are up nearly 80% this year and have skyrocketed more than 1,000% percent since Winfrey first invested about $43 million. 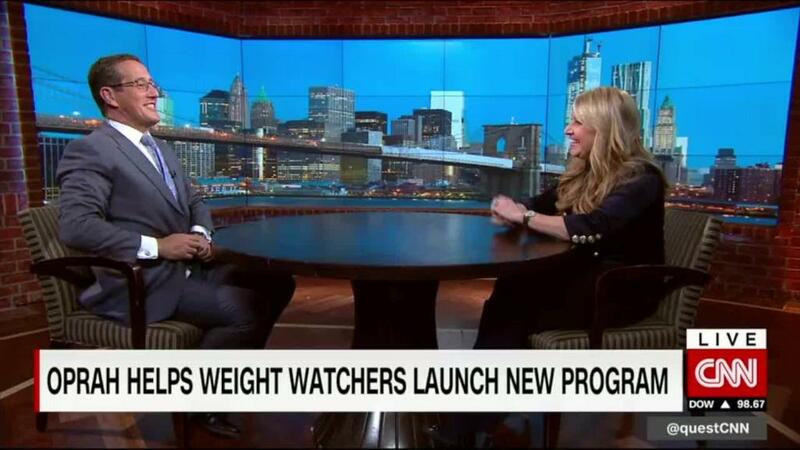 Weight Watchers has done an extraordinary job over the past few years of making the company's programs more exciting for a broader base of people, particularly since Mindy Grossman -- formerly of HSN -- took over as CEO last year. In addition to Winfrey, who is also a board member and the company's third largest investor with a 5% stake worth about $450 million, Weight Watchers has brought on actor Kevin Smith, music star DJ Khaled and celebrity chef Eric Greenspan as "ambassadors" for the company. So there's no issues with Oprah's halo. Weight Watchers still looks pretty healthy.